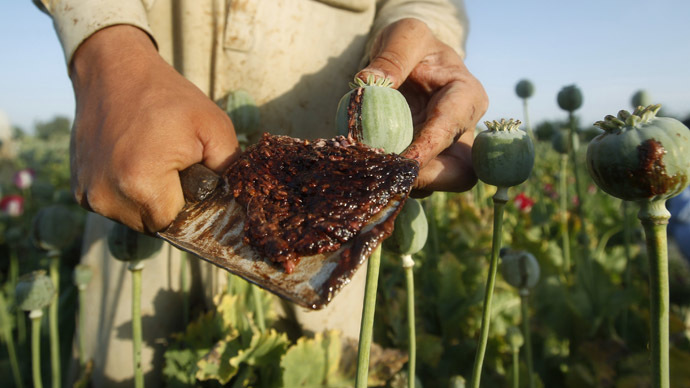 The amount of land used for cultivating opium poppies around the world is at an all-time high, says a UN report. 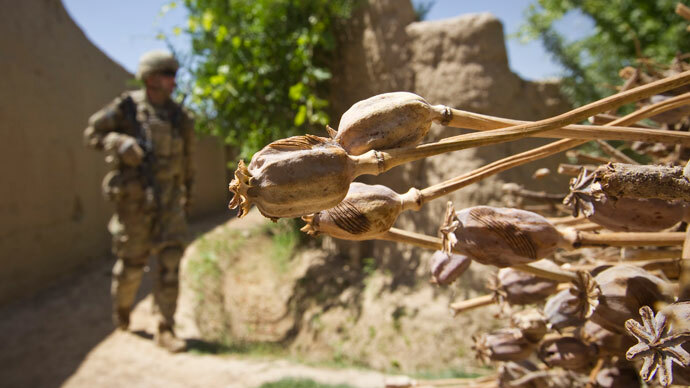 Afghanistan is largely behind the increase, with its crop growing by 36 percent over a year, producing 80 percent of the world’s opium. A World Drug Report released by the UN’s Vienna-based Office on Drugs and Crime (UNODC) has charted the global use of drugs. Although it says that global drug use is “stable,” it notes that the cultivation of opium has grown drastically. 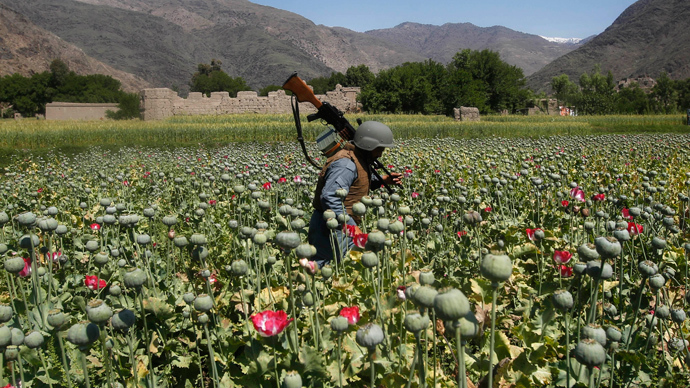 Afghanistan heads the field documenting a massive increase in 2012, with at least 209,000 hectares devoted to the cultivation of opium. Myanmar comes in second place, with a total of 57,800 hectares used to grow the primary ingredient of heroin. 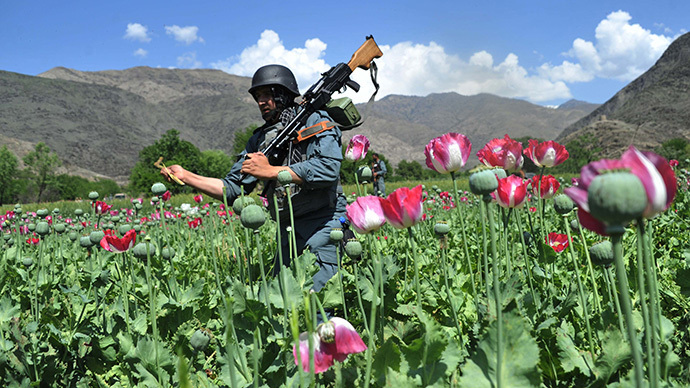 “The main area of cultivation in Afghanistan was in nine provinces in the southern and western part of the country, while the major increase was observed in Helmand and Kandahar. In Myanmar, the increase in the area of cultivation was not as pronounced as in Afghanistan,” says the report. According to the document, the production of opium has not increased as radically as its cultivation. The UN estimates that in 2013 6,883 tons were produced, “which is a return to the levels observed in 2011 and 2008.” According to the report, the production of heroin, on the other hand, has risen, totaling 560 tons in 2013, compared to 2008’s figure of 600 tons. The UNODC classifies drug use around the world as stable, estimating that 5 percent of the world’s population aged between 15 and 64 years used an illegal drug in 2012. It says that around 27 million people are considered “problem drug users,” about 6 percent of the world’s population. The UN has been critical of the decision to legalize the drug in the states of Washington and Colorado this year. It maintains that the repeated use of pot can lead to serious health disorders, including memory impairment and lung disorders. "Medical research tells us clearly that the use of cannabis, particularly at early ages, can be very harmful for the health," UN Office on Drugs and Crime chief researcher Angela Me told a news conference on Thursday, Reuters reported. The South American nation of Uruguay became the first country in history to fully legalize cannabis last year. The country’s President Jose Mujica dismissed criticism from the UN and has championed the initiative as a way of bringing Uruguay’s illegal drugs market under state control.